Estella's Revenge: Nonfiction November: A Winning Pair! Nonfiction November: A Winning Pair! This week's Nonfiction November prompt asks us to choose a fiction book and a nonfiction book that would make an appropriate pairing. It took a little brain wracking, but I've actually come up with two pairs! Bonus! I was bound and determined to find a match for Empty Mansions! I'm reading and loving it right now. So why do these two beauties jive? Rebecca is a novel of both wealth and intrigue. It's stuffed to the brim with mystery. Same goes for Empty Mansions, as Huguette Clark was shrouded in mystery and she was most certainly rich. While the time periods on these are different (Empty Mansions spans a century), they are both intriguing, atmospheric reads full of wealth and scandal. 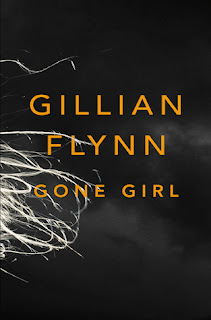 I hated Gone Girl, I really did, but I couldn't help but think of it and ponder it a bit more when I read M.E. Thomas's Confessions of a Sociopath: A Life Spent Hiding in Plain Sight. The characters in Gone Girl definitely have sociopathic tendencies (ok, Amy is all the way there), so this is a natural pairing. 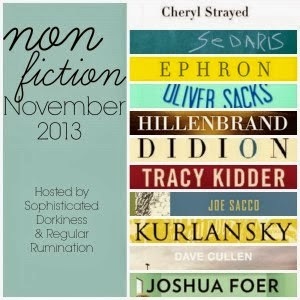 You can get your Nonfiction November fix over at Regular Rumination this week! I'm having problems coming up with ideas for this topic. I love your pairing of Rebecca and Empty Mansions. Both are on my TBR list, so i think it only makes sense that i do them together! Thanks. I had a really tough time coming up with pairings, until I started going down my Goodreads list for this year. That helped A LOT. I hope you love Rebecca and Empty Mansions! Both were captivating to me. Ooh I love your pairs! I really wanted to find a match for Empty Mansions, too, but had a hard time...maybe because I haven't read Rebecca (yet) ;) This is a really hard week - I'm still not sure I'm happy with my choices. Thank you! It was tough, but when I was looking at my Goodreads list, Rebecca dawned on me! I hope you love it. I can say with almost 99% certainty that you will totally dig it. 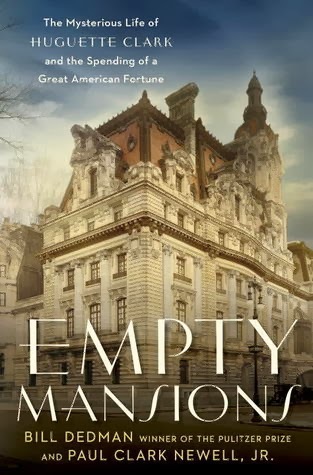 Empty Mansions is on my wish list, and who doesn't love Rebecca? Great idea for a pairing! Nice pairs! Rebecca and Empty Mansions are on my tbr list. It's fun seeing what people are coming up with for this week's topic. Thanks! I haven't gotten to blog browse today, but I'm looking forward to seeing what others have chosen! These are such great ideas! I had a hard time with this one too, although now that the post is up I am coming up with all sorts of other books I could have included. I'm really curious about Empty Mansions -- it sounds so good! I think I'm going to stick it on my Christmas list. It seems like the perfect book to curl up with in the afternoon on Christmas Day. It's so so good. I thought it might be dry in spots, but I'm totally captivated whenever I pick it up. I just can't even fathom that much wealth! Great pairings--I've had Empty Mansions on my TBR list for awhile now--this may just be the incentive I need to pick it up! 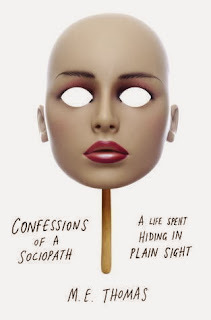 Unlike you, I really liked Gone Girl (although I didn't like the characters--if that makes sense)--and I started Confessions of a Sociopath but found that it was making me so uncomfortable that I had to stop reading it--and that doesn't happen to me too often. This is such a great exercise--I'm hoping to have my post up tonight or tomorrow! It's sooo goood! Definitely pick up Empty Mansions. Sociopath was creepy! Just such a drastically different (and disconcerting) way of thinking. I can't imagine the lack of empathy. Okay, so, I'm not sure I could read a book about people as crazy as Amy. Empy Mansions sounds all kinds of excellent though! Amy was enough crazy for one year. I love this idea! Last year I tried to do pairings like this. I read The Murder of Roger Ackroyd by Agatha Christie and The Poisoner's Handbook by Deborah Blum. That was a nice pair. Another good pair would be Bleak House or The Moonstone paired with The Suspicions of Mr Witcher. I love the idea of pairings, but I don't know how good I'd be on deliberately following through on them. Ack! LOL, no! I don't delete comments...even when people hate Rebecca. I saw it come through in my email this morning, so I have no idea where it is now. That makes me sad! I know I didn't dream it! Oooh Empty Mansions sounds interesting, especially if it makes you think of Rebecca! I put Gone Girl down and never picked it up again, oops. But Confessions seems interesting and I can see how it would make you think of Amy! Definitely! Amy had so many sociopathic tendencies! lol Empty Mansions is great! I have Rebecca and need to read it since it's got the coolest title EVER. LOL, I thought you'd like that! I'm so glad you're a fellow lover of Rebecca! I agree! We'll get her one day! I love pairing non-fiction and fiction so I'm really excited for this week's topic. Empty Mansions sounds fascinating and I love that you paired it with something that has a similar feel. It was super awesome! I finished it this weekend, as a matter of fact. Ooh, I love this! 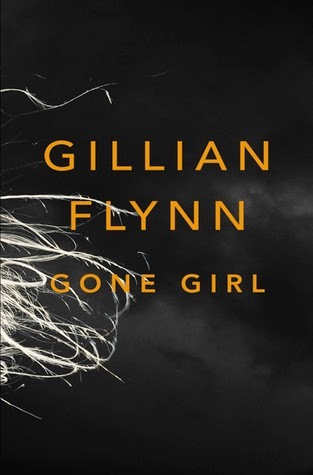 I've only read Gone Girl of these four books, but they all seem like great pairings. I want to read all of these books now! Thanks! I hope you get a chance to try some of them out, Leah! Totally love the pairing between Rebecca and Empty Mansions!! great choice. Ok, adding both of those nonfiction books to my TBR list. I LOVED Rebecca, so Empty Mansions looks particularly good. These are awesome! You ended up doing a lot better than I did. I just COULD NOT think of anything and I ended up going with a nonfiction book I'd like to read. I did discover Empty Mansions on my journey, though, and I was really excited to come back here and see what you paired with it. 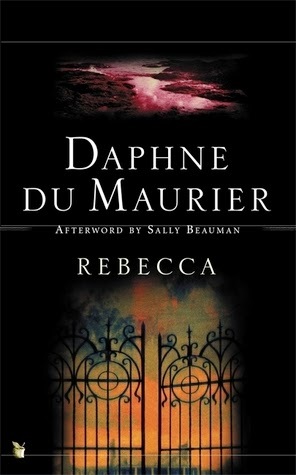 I just finished Rebecca, and I did not love it, but I did like the setting. I've read a few books set during that time period in England in big manor houses and I think it's so interesting how the society was changing so drastically. 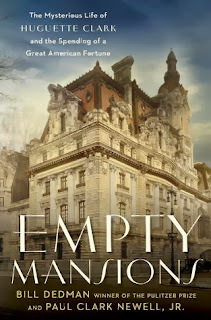 I can't wait to read Empty Mansions! Thank you, darlin'! I had a really hard time, but going through Goodreads helped me visualize. lol Empty Mansions definitely has more in common with the setting of Rebecca than any specific plot points. I think you'd dig it! Like you, I hated Gone Girl! 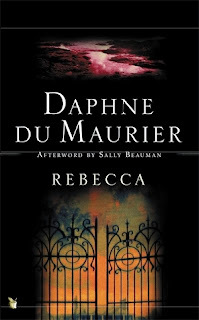 And loved Rebecca- I only read it last year. I'll definitely have to look for Empty Mansions. Woohoo! I just read it earlier this year. Better late than never, right? Your pairing makes Empty Mansions sound intriguing! I've been wanting to read Empty Mansions anyway but if you can compare it in any way to Rebecca, I'm definitely in! Really nice pairings. I jut got Rebecca on Audible but this is the first I've heard of Empty Mansions. Now it's on my TBR list. 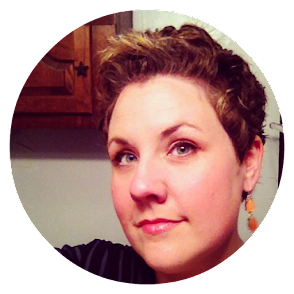 I followed your link over from Tebecca's Spread the Love Linky Party. I'm so glad I did.